(Chicago, IL – August 23, 2018) – The Underground, known for the last decade as Chicago’s premiere nightlife destination for top local & national DJs, industry influencers and celebrities from around the world, is excited to announce the return of hospitality and nightlife veteran, Arturo Gomez, through a partnership that demonstrates the venue’s commitment to creating incredible nightlife experiences. The newly formed venture will capitalize on Gomez’s past experiences working with Rockit Ranch Productions’ CEO, Billy Dec, and tap into his expanding pedigree in the luxury and lifestyle space which include his most recent solo entrepreneurial projects, Big Game Air and Evoke Agency. As partner in The Underground, Gomez will oversee all marketing and operations, while Dec remains focused on growing the company’s portfolio of restaurants and entertainment experiences. Gomez’s return to the brand strengthens the shared vision between the two partners that there will be an increased emphasis on delivering top-tier service and experiences as plans for 2019 and beyond unfold. In addition to opening Sunda in Nashville just months ago, Dec too has immersed himself over recent years into several different forms of elevated entertainment experiences in other advanced mediums. For example, podcasting, hosting, acting and producing under his production company Elston Films, regularly appearing on the TODAY Show as a contributor, and serving as a Lifestyle Contributing editor for Esquire Magazine to name a few. Dec and Gomez plan to take all of these combined experiences and integrate them into higher and more evolved hospitality and entertainment goals at The Underground moving forward. 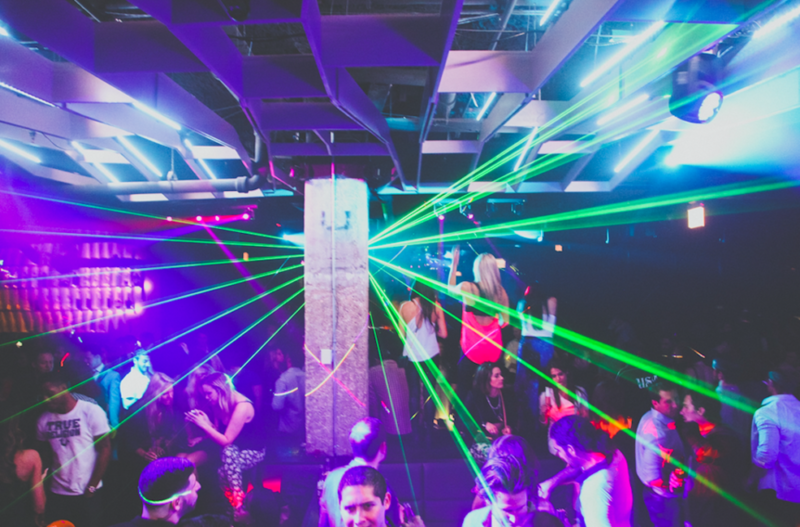 The Underground by Rockit Ranch Productions is Chicago’s leading nightlife destination located in the heart of the city’s bustling River North entertainment district, open until 4a, 5a on Saturdays. After nearly a decade in business, the nightclub is still known for attracting Chicago’s top DJs, local influencers, and globally recognized celebrities. The Underground has been named “Hottest Nightclub” by Entertainment Weekly, and has earned accolades such as “Chicago’s Sexiest Nightclub” by Victoria’s Secret and “#1 Celebrity Spot” by Chicago Tribune. For more information, visit www.TheUndergroundChicago.com or connect on Facebook, Twitter and Instagram.